Congrats and just remember the stress will end soon! BTW: How long ago did you start planning? I'm just in the beginning stages and have no clue what I'm doing! Oooh...the Amaranth Enchantment sounds AMAZING, lucky you! And I'm sure your wedding will be gorgeous! Those flowers are super-pretty! Oh how exciting! I love weddings. Those flowers are lovely. Only 3 weeks wow, time goes by so quickly. Love the flowers we made a lot of flower stuff for our own wedding, so i know how much it all helps. Amazing! I hope your wedding plans fall into place and that you enjoy your day! 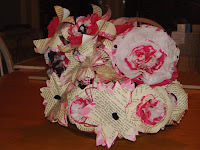 Those flowers are pretty - are some of them made out of pages??? The flowers are beautiful! Good luck with your school projects and the wedding plans! Congrats and the flowers look amazing!! I love the colors! Congrats! I had no idea you were planning a wedding I loved planning ours. I love the flowers, too!! the flowers are gorgeous! I can't wait to see pics of the wedding. Wow, didn't know it was so soon! That's so exciting! Try not to stress too much. Just remember that it can't all go perfectly so don't let the little things get to you. Try to relax, enjoy and go with the flow. It's the little unpredictable moments that give your wedding personality and that you will laugh about later. Have a wonderful day and enjoy it all. It does go so very fast. Would also love to chat with you sometime about help for the childrens librarian at our public library. She wants to get more involved with the internet and possibly blogging. When I told her about ways to make contact with other librarians, authors, publishers, etc., she was thrilled and wanted to know more. 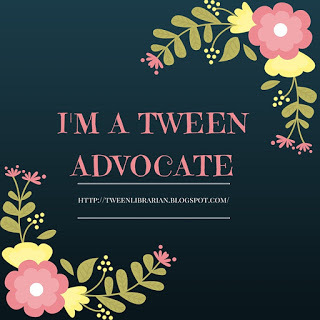 I mentioned you and all of the neat things that you do on your blog. She is especially interested now that the budget has been cut further and she can't order as many books. Thanks so much!